A little over nine years ago I read Becoming Orthodox: A Journey to the Ancient Christian Faith by Fr. Peter E. Gillquist. It was one of a flurry of books I read around this time, starting with the Ware The Orthodox Church and Pelikan’s The Vindication of Tradition, and including Schmemann’s For the Life of the World and Clark Carlton’s The Faith, The Way, The Truth, and The Life. I wouldn’t say the book had an overabundance of things to say to me, since I didn’t really have the conceptual problems of an evangelical per se, but given where I was at the time (the full story of which will have to wait), and given how I generally approach things, I remember thinking, Well, if this guy’s job is supposed to be missions and evangelism, then maybe he’ll know what to tell me. I wrote him a fairly lengthy letter explaining to him a lot about where I was at, and sent it off not really expecting a response, figuring that he had to get letters from perplexed Catholic-wannabe Protestants all the time. A couple of weeks later, I got a large envelope in reply from Fr. Peter, containing a copy of Matthew Gallatin’s Thirsting for God in a Land of Shallow Wells, and a handwritten note that advised me to get in touch with a local priest named Fr. James Bernstein. “He will understand you!” the note said. That turned out to be a fruitful pairing indeed, and I would say that Fr. Peter’s willingness to take me seriously enough to pass along some kind of useful response was a big factor in becoming Orthodox two years later. I finally met Fr. Peter a few months after his son was assigned to All Saints, the parish in our adopted home of Bloomington, Indiana. He gave a wonderful presentation for IU’s OCF that was also attended by a good 80 people from the greater community. He continued to make appearances at All Saints every so often over the next couple of years, until finally he moved here in 2009. Fr. Peter and I worked together on a number of projects, related to All Saints’ building project as well as Orthodox Hoosiers, the Orthodox IU alumni association that never quite achieved critical mass. It was Fr. Peter’s brainchild, he and I poured a lot of time and effort into it, and it really was (and is!) a wonderful idea. Alas, it just was the wrong time, and neither of us really had it in us to try to get it going past the first big push. We both hoped that the initial response would be sufficient to get some momentum going and to convince somebody else to take it on, and even with a mailing list of 500 people, that just didn’t turn out to be reality. I think that perhaps we had a shared vision that was nonetheless harder to realize than it could have been given a rather marked difference in methodologies — he was always very up front about trying to approach things from what he understood to be the science of marketing, and I was less trying to get people to “buy”, as such, than I was trying to get them to see the particulars of the vision for themselves. 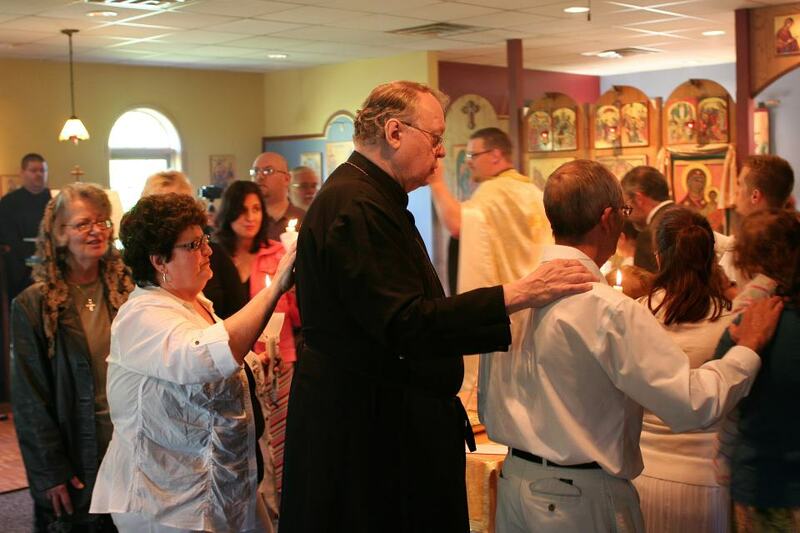 We were further hampered by some broader chicken-and-egg problems at All Saints that Orthodox Hoosiers was at once intended to help solve but also severely limited by itself. In the end, we both tried our hardest, but it was perhaps the right idea at the wrong moment. Fr. Peter E. Gillquist with his son and baptizands on Lazarus Saturday, 2012. Fr. Peter passed away earlier this evening after an old struggle with cancer had reared its ugly head again in the last several weeks. It was a blessing and honor to have known him, and I can truthfully say that he made a difference in my life and the lives of those around me. May his memory be eternal, and my heart goes out to his family, particularly Fr. Peter Jon. 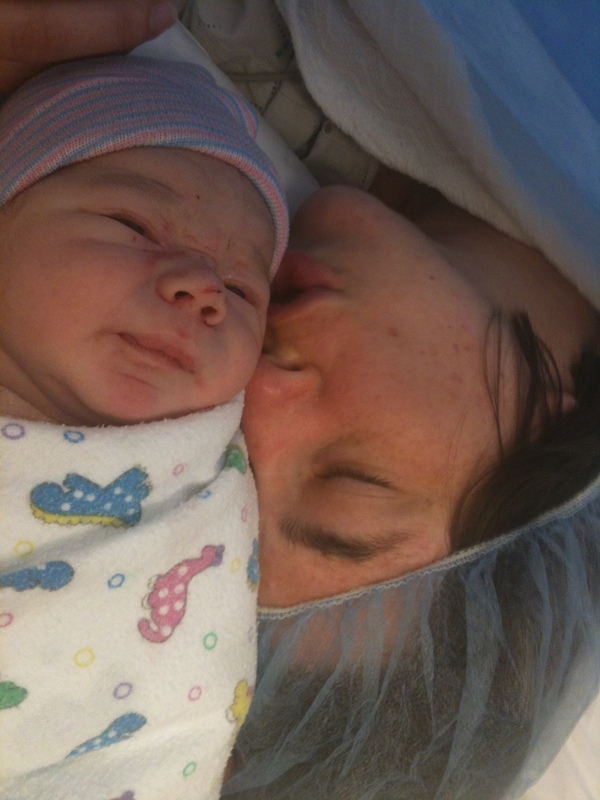 Theodore Harvey Barrett II was born at 6:49pm on 25 June 2012; he was born in the same hospital where Fr. Peter was also undergoing some last-minute surgery. Fr. Peter Jon was able to come down to post-partum from his father’s recovery room to give the first blessing to the child after he was born. That is very much its own story, one that I do not have time to detail here in full, except to say that he and his mother are healthy and thriving. I wish that there had been more overlap of time on this earth between Theodore and Fr. Peter than simply the last week. I would have loved for Theodore to have known Fr. Peter, with his gravelly voice, his ability to grab a crowd with either a joke, a prayer, or a Bible quotation, and his insistence on treating you like he’d known you for years even if he just met you. In the midst of death we are in life. I have more to say about both transitions, but this will have to do for now. May Fr Peter’s memory be eternal! Many years to your Son and your Family! Indeed. In the midst of death, we are in life. Memory eternal, and many years! Daphne and I met Fr James Bernstein yesterday, here at the Parish Life Conference for the Northwest and the West.